We, like the rest of the country, are now feverishly awaiting the kick off of the 21st FIFA World Cup in Russia next month and as usual the internet is awash with previews, analysis, star players and predictions. There are sites far better qualified than us to give you that information so we’ve decided to stick to what we know – posters! 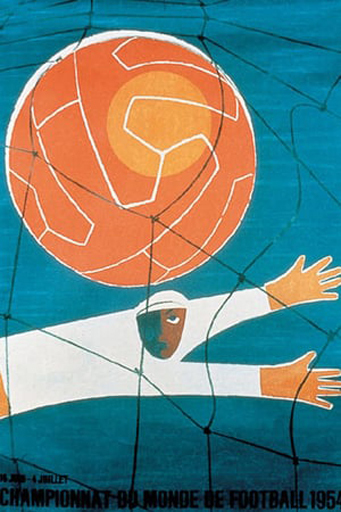 We’re taking an alternative look and delving back into the World Cup archives to look at official posters and how they’ve evolved from the very first tournament hosted by Uruguay in 1930. These unique pieces of art encapsulate both the art and styles of the time that they were produced with subtle nods paying homage to their host nation. 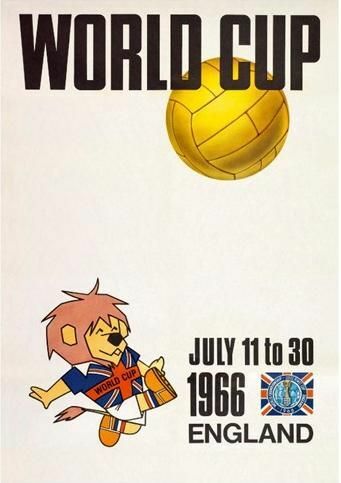 This poster commissioned to promote the first World Cup tournament would be a valuable addition to any collection. 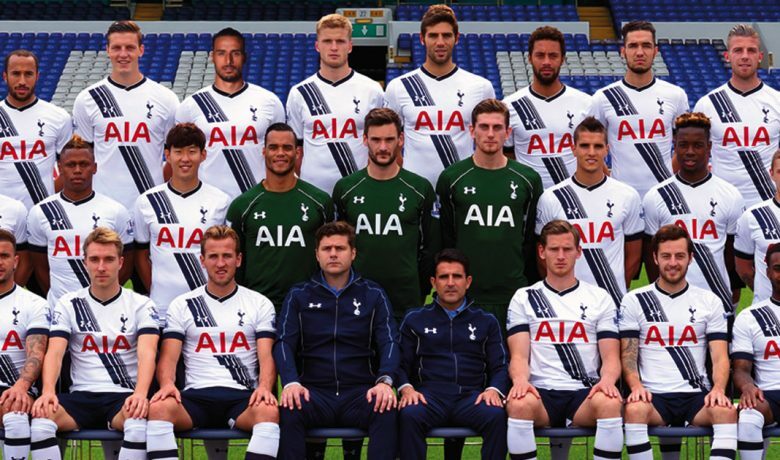 It features a figure of a faceless goalkeeper lurching to save a shot bound for the top corner. 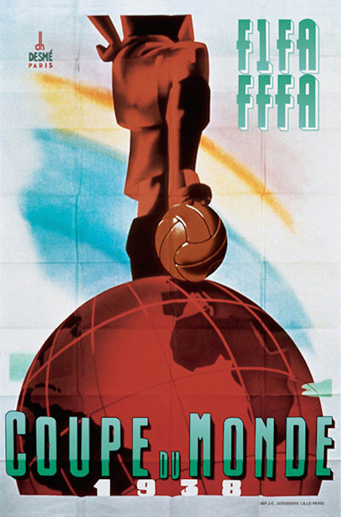 Produced by Guillermo Laborde, he included a large red number one to underline the historical fact that this was the first ever World Cup. 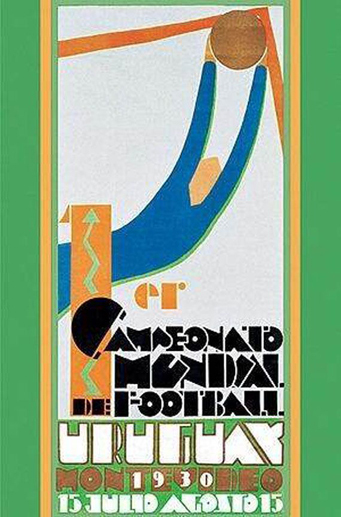 This design by Gino Boccasile utilised art deco fonts and featured an Italian footballer who’s shirt was emblazoned with the Italian Social Republic coat of arms rather than what we now recognise as the traditional Italian flag. 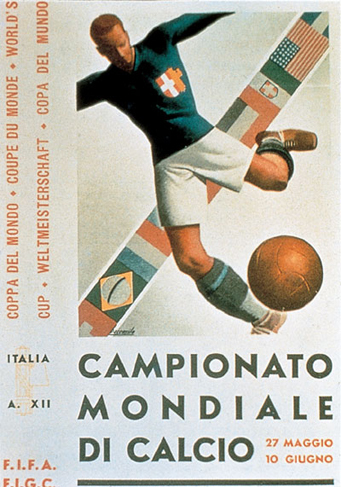 1934 was the first time the tournament was hosted in Italy and this poster design displayed a strip of flags behind the player signifying many of the 32 competing nations. More art deco styles indicative of the time. A 1930’s footballer resting his foot atop of a leather ball which sits on top of the globe – perhaps signifying what was to become true about the World Cup in years to come. 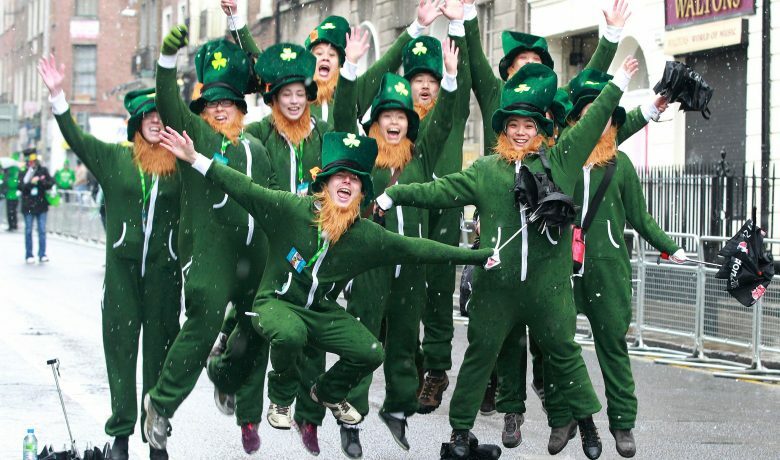 The most important tournament on earth? 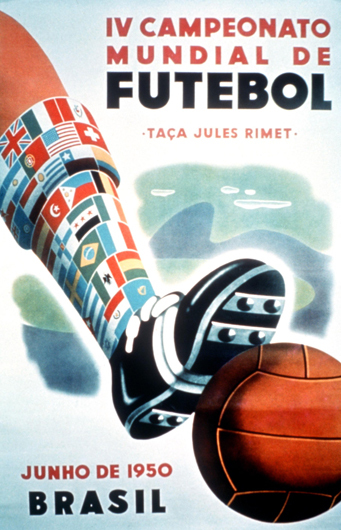 The World Cup poster tradition was revived for Brasil’s 1950 tournament and was designed around a colourful sock design which bore the competing nation’s flags. A true classic – the six studded boot and old school leather ball may seem alien to most football fans these days! A slightly bizarre effort for the 1954 edition in Switzerland and not dissimilar from the first poster in 1930. The basic design shows a ball flashing past the hapless stylised goalkeeper who looks on behind himself as the ball nestles in the goal. 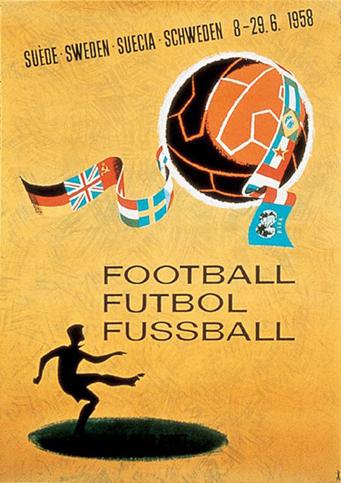 A silhouette figure launches a ball into the air which is wrapped in a scarf or flag. Suspiciously similar to the poster created by Saul Bass for Alfred Hitchcock’s hit thriller film Vertigo which was released that very same year. 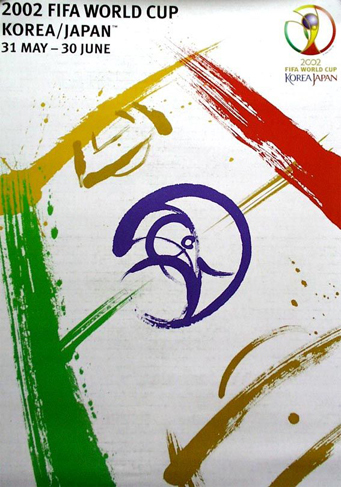 Designed by Gabarino Ponce this design was chosen from over 300 submissions. A football is shown alongside the globe with Chile coloured in the same tones as the ball to signify the country as host nation. An iconic year for English sport as the host nation and eventual winner. 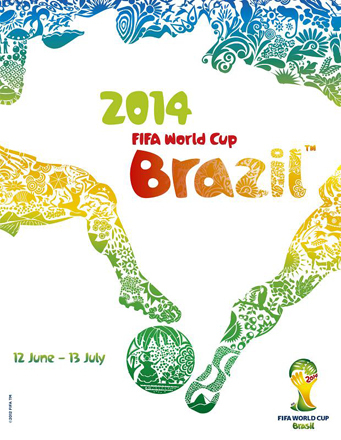 The minimalist design featured the first ever mascot – World Cup Willie. The lion went on to become a pioneering move in using mascots for worldwide sporting events. A classic, iconic poster. 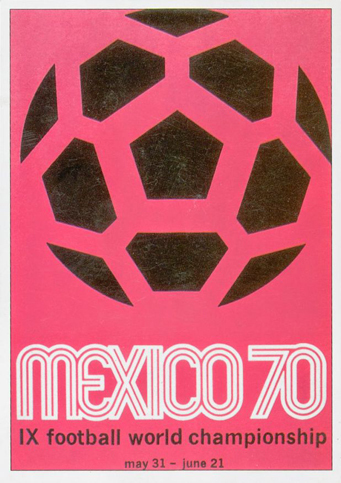 Utilising the same font as the 1968 Olympic games this striking pink and black design also incorporated a simplified graphic design of the tournament ball – the black and white adidas Telstar. 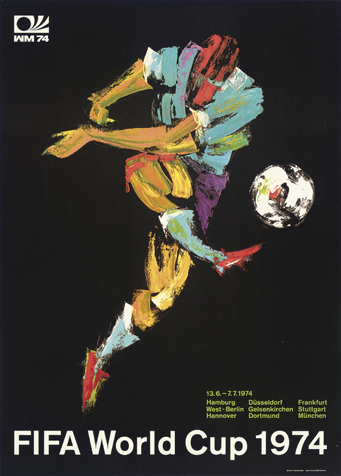 Germany opted for impressionism in 1974 with big, bold strokes from Horst Schäfer in this colourful design which showed a player belting a football on a black background. The design was also the first to feature the names of each host city. 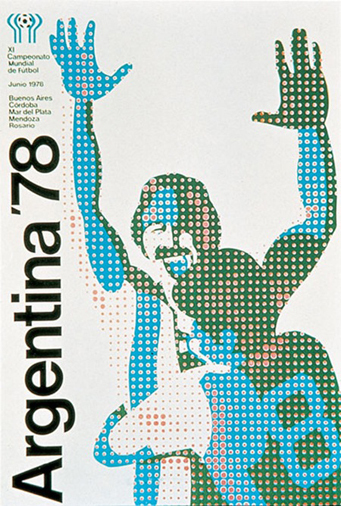 This Ben-Day dot style was reminiscent of Roy Lichtenstein’s work in the 1960’s and showed two Argentinian footballers (mullet, moustache and all) in a celebratory embrace. The host nation name of Argentina was displayed in vertical text for the first time. 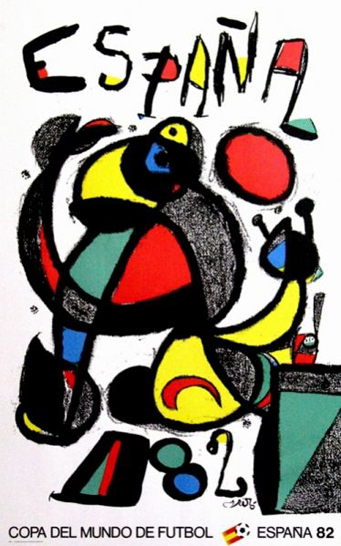 We’re not entirely sure what to make of the 1982 design by Catalan artist Joan Miró. A definite touch of Picasso about this one with the bright red and yellow colours synonymous with Spanish culture. 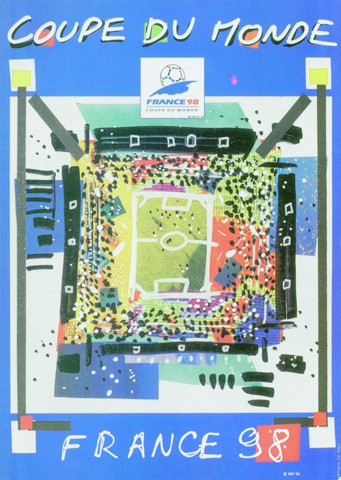 The first time a photograph was used on a World Cup poster was 1986. 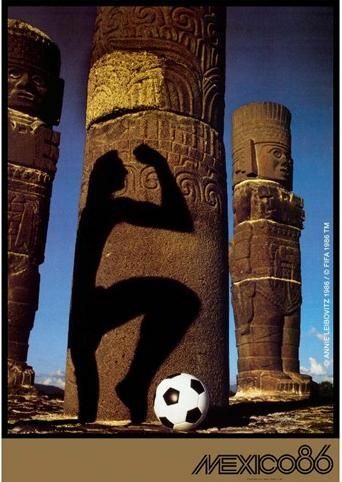 Shot by Annie Leibovitz it depicted the Aztec stonework with a shadow cast ready to kick a nearby football into action. A smaller simplified version of the 1970 ‘double-lined’ font was also used. Four years on from Mexico and photography was still En Vogue. This black and white negative of the Colosseum was perhaps used as a metaphor for the players going in to battle with the main bowl floor having been replaced with a football pitch. 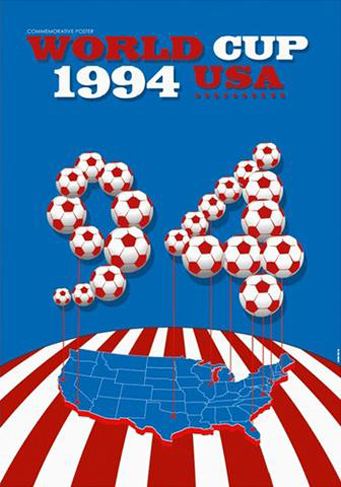 USA in ’94 were a very proud host nation and this was represented on the official poster with the American map highlighted on a striped version of the globe. The poster was drenched in the famous red, white and blue of Uncle Sam’s homeland as the entire world embraced the American dream. This poster was selected from a competition which encouraged entries from budding French artists. The final design was by student Nathalie le Gall who produced this colourful design which featured a chaotic stadium as it’s centerpiece. 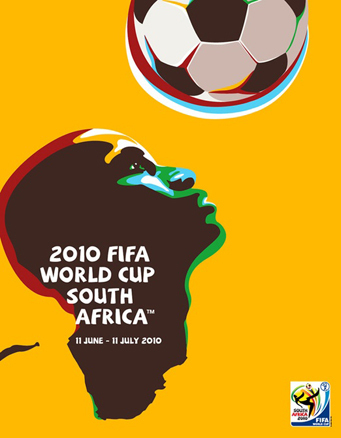 It would only be right that the first ever jointly hosted World Cup had a poster that was a collaborative effort between the two countries. Byun Choo Suk and Hirano Sogen produced this quite basic football pitch design from thick paint brush strokes. 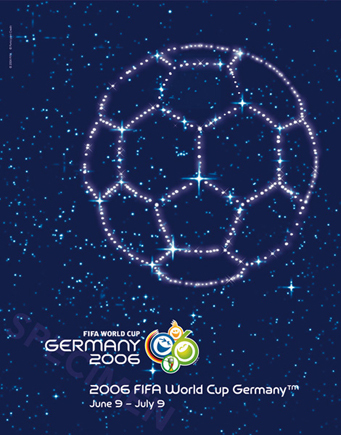 This intergalactic effort was the brain child of a German design agency who used a constellation to mirror the outline of a football. 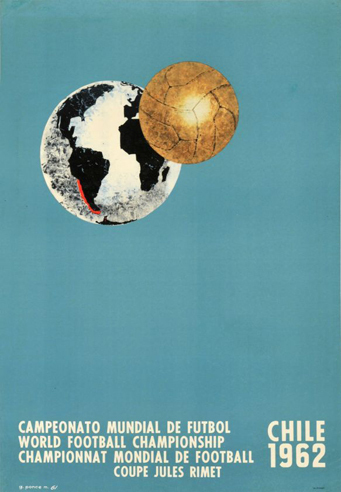 We’re struggling to see the link between outer space and football though and the poster was largely forgettable – much like the final of that year. 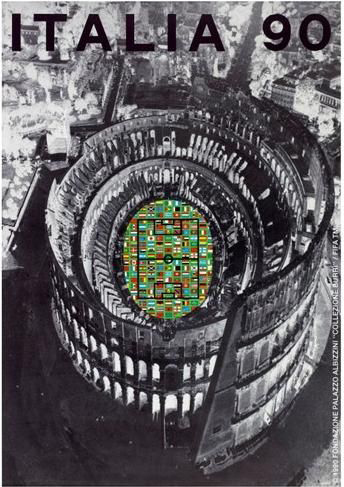 A striking poster to mark Africa’s first ever World Cup. The gold & green colourway is a nod to the Bafana Bafana kit with a drawing of an African player about to head the ball who’s neck subtly morphs into a map of Africa and the South African coastline. A very creative and colourful design with plenty of hidden meaning. The player’s legs tackling for the ball make the outline of a map of Brazil and the legs feature intricate designs of everything you would associate with Brazil – dancing, sun, beaches, music and the beautiful game. This year’s design apes the classic Russian constructivism posters with it’s angled stripes. 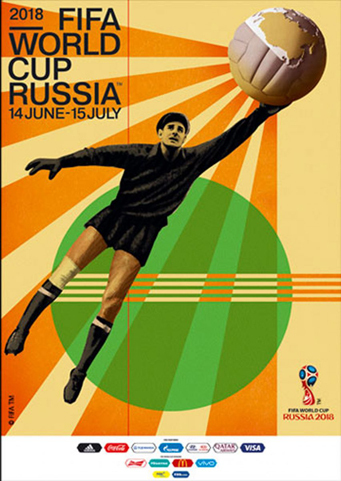 The star of the poster is iconic Soviet goalkeeper the ‘Black Spider’ Lev Yashin who is holding a football with a cutaway section to reveal Russia as the host nation. England will join 31 other qualifying nations for the quadrennial tournament and whoever you’ll be rooting for you can chart each team’s progress with our Russia 2018 Wall Chart.